Scotland isn’t reknowned for its Eastern European food, and it takes some dedication to find restaurants from the other side of the Iron Curtain. Glasgow has U Jarka (“Polish and European cuisine, with the good old traditions”) and Cossachok (“Scotland’s first and only authentic Russian Restaurant which represents people from former USSR in cooking, culture, and hospitality”). 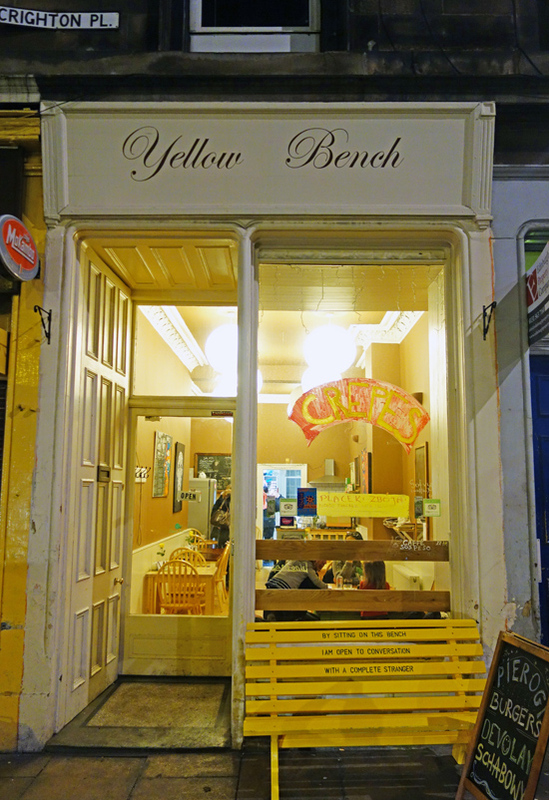 But if you’re in Edinburgh these days, like I was during my family holiday trip, then Yellow Bench, a Polish hole-in-the-wall in Leith, might very well be your only option.